Are you looking for that essential back to school item? Fun and appealing to children? Maxwell and I love to go on day trips with one another. Whilst out we love to take a packed lunch with us. 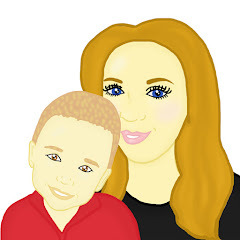 I find taking a packed lunch out not only saves us money but also does not limit us on where we have to eat and what time we need to eat as Maxwell can freely eat when he needs to. Maxwell was recently sent a new lunch bag to accompany him on his trips out. Maxwell was allowed to choose a Lunch Bag from the Internet Gift Store. There was a wide range of choice and a lot of different character designs to suit boys and girls for all different age ranges. 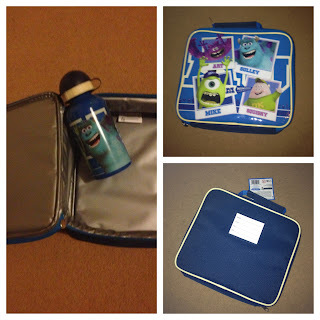 After a lot of thought Maxwell choose a Monsters University Lunch Bag which also came with a lovely sports bottle. The lunch bag arrived quickly and it was well packaged. Once opening it I was impressed with the brilliant quality. The bag was square shaped and rounded round the edges and was a reasonable size to fit a drink, sandwich and snacks into. Inside the lunch bag, it has a insulating lining to keep the food cold and is easy to wipe clean. The outside of the bag is very eye catching. 4 pictures of the Monster University characters can be seen and the pictures are made up of bright colours. The bag has a soft carry handle that is easy to hold and a zip fastener which is enables Maxwell to open and close the bag easily. At the back, there is a name slip to put in your child's name and details in, the name slip is only a bit of card so now and again you could make your own slip to personalise the bag a little bit more. The bag included a metal Monsters Universtity drinking flask which has a flip-top cover over the spout. Maxwell found it easy to drink out of the bottle and although the bottle is quite small it was easy to fill up over and over again. The bottle isn't insulated but the aluminium casing will help to keep drinks slightly cooler which is a big plus in the summer. The Internet Gift store has a great range of lunch bags, boxes, bottles, so why not pop over and see what you can find for your little one.